I think Dubai is one of the most fascinating cities of the world. 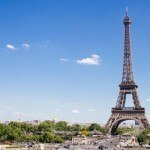 Rising out of the desert, this city has truly reinvented itself as a top destination for travellers and families definitely fit into this category! 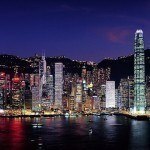 It is a city absolutely packed full of attractions that are perfect for kids. Of course being so popular as both a destination in its own right and a transit point, Dubai has a zillion hotels ranging from the absolutely out of this world amazing to the more common international standard with a whole range of price tags. Many work very well for families. If you are planning to travel to Dubai soon, you will find the following list very handy! Here’s our thoughts on the top 10 best family hotels in Dubai! Atlanis, The Palm is located on Palm Jumeirah Island is Atlantis, which could easily be the best area to stay in Dubai if you want luxury and beauty. The hotel is one of the best places to stay in Dubai with views across the golf and access to a private beach. This hotel is great for families with access to Aquaventure Water Park, the largest in the Middle East with water slides for both younger and older children. There are two main Asian dining options including the Chinese Yuan and Japanese Nobu. In my opinion, this is the best place to stay in Dubai! Warning: You will be booking this hotel if you watch the following video! Best parts… Hotel facilities including Acquaventure Water Park and beach front location. Fantastic Asian restaurants. Be aware… The Wi-Fi can be weak. Best for… Families that want luxury, kid friendly attractions and a beachfront location. It’s a very easy place to stay. The StarMetro Deira Hotel Apartments are another one of the great family hotels in Dubai. This hotel is located in Deira which is great for shopping and exploring the nearby Al Rigga Street. The hotel is also close to metro for further exploration of Dubai’s attractions. The hotel features an outdoor swimming pool, health club and a full classic American style buffet breakfast. This Dubai family hotels accommodation is fantastically set up with Family Suites available. The facilities of this hotel include a pool for the family to enjoy and a gym. The 24-hour buffet is also great to satisfy cravings at any time. 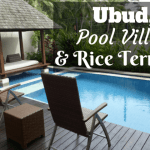 Best parts… Location to metro and malls, pool and buffet. Be aware… Hotel is a little dated. Best for… Families that want a great location with easy access to the metro and malls. Another luxury family hotel in Dubai is Jumeirah Beach Hotel. This hotel is located in Umm Suqeim. The hotel certainly doesn’t lack facilities with a tennis court, dive center, gym and day spa, even a climbing wall. The hotel is like a city in itself with an amazing 16 dining options, easily making it the best hotel in Dubai for dining! There are a huge amount of rooms to choose from, catering for families up to 8! The Sinbad’s Kids Club will also give parents a break. The Jumeirah Beach Hotel is one of the best hotels of Dubai. Be aware… Food can be quite expensive. 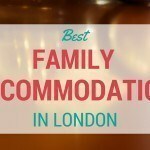 Best for …Families that want choice in regards to dining and accommodation. The Premier Inn Dubai International Airport Hotel is one of the best Dubai hotels for families near the airport. For many families, Dubai is simply a stopover destination. This hotel offers great value family accommodation for those that need to be near the airport. The hotel is 5 minutes from the airport and includes complimentary shuttle service to many of Dubai’s main attractions. The rooms are comfortable and modern, with large flat screen TV’s and family rooms available. This family friendly hotel in Dubai also has an outdoor pool offering a great city view. The hotel also offers onsite dining. The Premier Inn is the best place to stay in Dubai with family near the airport. Best Parts… Access to airport and free shuttle bus. Outdoor pool with panoramic views. Be aware… Hotel does not provide toiletries. The rooms of this hotel are modern with suites available, with clubs rooms giving access to the Coral Lounge. Each room comes with a balcony offering a fantastic view. The hotel features a spa with massage, outdoor pool for the kids to enjoy and a sauna for guests to relax. This is one of the great Dubai family friendly hotels with easy access to nearby attractions, including restaurants and shopping. There are also several dining options and cafes onsite. Best parts… Location, pool and service. Be aware… Family rooms are only for families with children under 12. Best for… Families that want to be near Jumeriah Beach Residence walk for restaurants and shops. The Cassells Al Barsha Hotel is next, offering family accommodation in Dubai. This hotel is located in Al Barsha with a range of facilities and amenities to maximize your family’s enjoyment. This hotel includes a health club, sauna with personal trainers and masseurs to keep you healthy and happy during you stay. The Mall of Emirates is only a 10-minute walk away. The hotel offers a range of rooms, from the standard room for small families to a three-bedroom suite, depending on your budget and needs. This is a great place for the family to stay, and for many families will be the best Dubai hotel. Best parts… Spacious rooms, many amenities and so many rooms to choose from. Be aware… Construction work around the hotel may be bothersome. Best for… Families that want access to Dubai’s best shopping. Gloria Hotel is located in Media City, which is a top location for one of the best family hotels in Dubai. The hotel is only a 10 minute drive to the Beach Mall and Wild Wadi Waterpark, which are both great attractions in Dubai for families. The hotel’s pool is fantastic and includes a child’s pool for the younger patrons. The hotel serves both snacks and international cuisine at La Terrace with all day dining available. Gloria hotel has a range of accommodation to suite any type any budget, with each room having a balcony and view. There is so much to love that will make this the best family hotel in Dubai for many. Best parts… Excellent location for families, all day dining at La terrace restaurant, child pool. Be aware… This is a dry hotel, and therefore does not serve alcohol. Best for… Families that want a location that makes the most of Dubai’s family attractions. The Asiana hotel is another contender for the best family hotel in Dubai. This is another hotel that is located in Deira. This luxury family hotel is well priced for all that it offers. The hotel includes a fully equipped gym, spa and sauna for relaxation in Dubai. The hotel includes room service, and the Asiana Restaurant on site serves fantastic meals. Asiana Hotel is one of the family hotels in Dubai that is located very close to Dubai International Airport. The hotel allows for extra beds to be added at a fee to their double and king rooms, and a baby-sitting service is available. This is a great family hotel in Dubai. Best parts… Asiana Restaurant, nearby Metro station, extra beds available, babysitting. 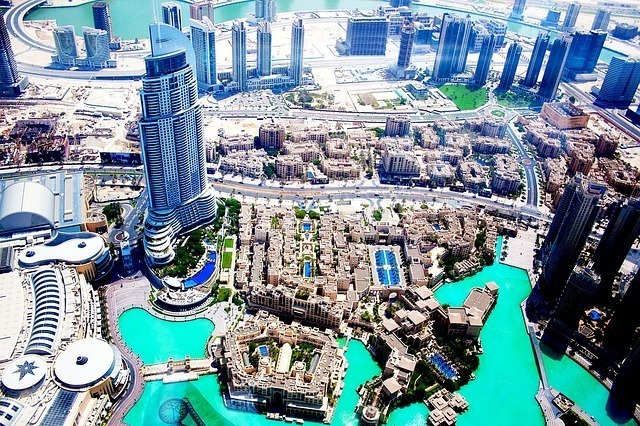 Be aware… Hotel is located further away from Dubai’s main attraction. Best for… Families that want a luxury, modern, well equipped hotel near the airport. The Golden Sands Hotel Apartments is one of the best hotels in Dubai for families within walking distance to Burjuman Shopping Mall and ADCB Metro to explore Dubai’s other attractions. The hotel offers comfortable apartments, which are well set up with kitchenettes, large TV’s and washing machines to keep you happy during your stay. Accommodation is spacious with studios up to three bedroom apartments. The hotel isn’t short of facilities, and you’ll find a racquetball court, gym, and sauna at this hotel. These facilities also make this one of the best family hotels in Dubai. The hotel will also happily make other arrangements you may need, such as tours. There is also the Golden Sand’s restaurant onsite. Best parts… Large, comfortable accommodation and the racquetball court. Be aware… Hotel does not offer room service. Best for… Families that want to make use of the hotels facilities. Located on the Sheik Zayed Road, Chelsea Tower Suites and Apartments offers 1, 2 and 3 bedroom apartments that are roomy and spacious. The largest can support up to six adults making it suitable for all but the largest families. Kids up to five can also stay for free using existing bedding, so even a one bedroom apartment might be enough for a young family. The service is excellent with free valet parking and the bell service will happily carry anything up to your room that you need including your grocery shopping. The Chelsea Tower’s location is very central and it is close to a metro station as well as many fast and/or cheap dinning options for when you need to eat. The Dubai Mall is only one metro stop away. Tamani Marina Hotel and Hotel Apartments – Located in Dubai Marina, this hotel offers some of the best accommodation in Dubai with affordable 2 bedroom apartments. Yassat Gloria Hotel & Apartments – Offering family accommodation in Dubai and located in Tecom, this hotel offers both 2 bedroom suites and apartments. Number One Tower Suites Hotel – Located on Sheik Zayed Road, this hotel offers 2 bedrooms suites for families. Warwick Hotel Dubai – Within proximity to the Burj Khalifa, this hotel offers 2 bedroom suites. Abidos Hotel Apartment Al Basha – A short walk to the Mall of the Emirates metro station, it offers 1 and 2 bedroom apartments with kids under 12 free with existing bedding . 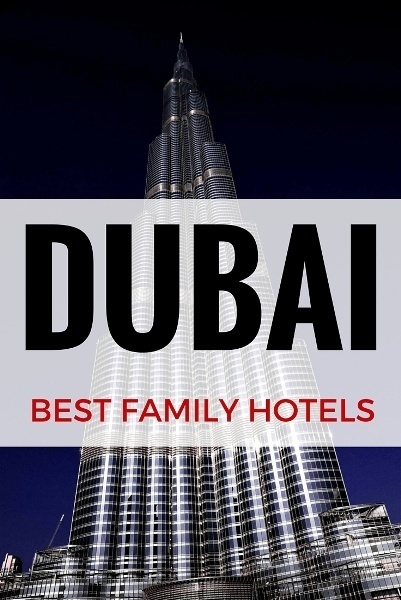 What’s your pick for the best family hotel in Dubai? Dubai is my preferred holiday destination. 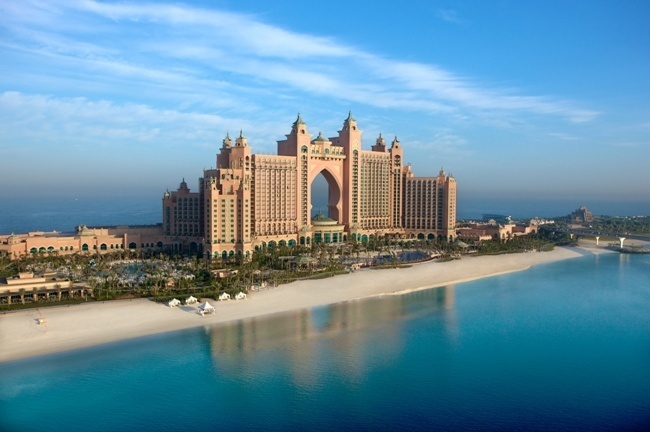 I am planning to visit Atlantis the palm in this year during summer holidays with my family. Your tips will surely helpful to me. Thanks for sharing..
No problem. That is an amazing resort/experience – enjoy! its great to read your blogs. We recently visited Singapore and took lot of tips from your blog. Do you have an itinerary for travel to Dubai with Kids? If yes,please share. Thanks a lot. Hi Deepika! Not yet! 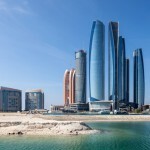 I do have one to Abu Dhabi if you will be visiting there. We just spent two weeks at The Ritz Carlton JBR and it was AMAZING! We got upgraded and got club access as the ground floor room I requested was not available for the first 4 days of our stay. Club Lounge access was amazing with two small children as they could eat and drink whenever they wanted and this tired Mumma got champagne As Daddy was at work. We limited screen and only allowed it in the club lounge as I don’t think two small children running around would have been much appreciated. My kids looked forward to fresh juice, sushi and screen time up here. The resort was incredible! Kids club was great for my two aged 2 and 4 however I will look at Atlantis, The Palm as they get older. We are joining hubby again in April and this time going to stay at the Westin. We went to their Saturday ‘picnic’ and were really impressed. Not as posh as the Ritz but the kids club looked much larger. Thanks so much for all your feedback. That sounds amazing! I have always written off club access as not a good idea with the kids but it sounds perfect. I love your idea of saving screen time until then, I am going to keep it in mind! the Atlantis Resort looks amazing! Ever since watching After the Sunset, I have dreamed of spending a night in the bridge suite, just one night! I also want to stay at the Burj Al Arab, again, Just one night! Now those may not seem like the best bucket list kids-holidays … but a Mom can dream right? For sure! Besides I think they very much deserve to be on a bucket list! Excellent post! I love family hotels.